The chair of Natural Philosophy dates from 1577. William Thomson, (later Lord Kelvin) was a dominant scientific figure in the nineteenth century, holding this chair for 53 years. He was hugely creative. At age 16, he established the mathematics for the physics of continuous media. 1849 saw papers on hydrodynamics, electricity and the heating and cooling of buildings as well as the second law of thermodynamics. In 1850 he wrote on steam engines, geometry, electrolysis, the magnetic properties of crystals and regelation and produced a landmark paper on magnetism. This developed the subject from two contrasting starting points, magnetic poles and current loops, introducing the modern forms of magnetic field and induction. He recast physical science in terms of energy, and won his knighthood for the epic achievement of the transatlantic telegraph cable. A window in Westminster Abbey refers to him as Engineer and Natural Philosopher. The arrival of Philip Dee in 1943 re-invigorated Natural Philosophy, which grew from seven to 36 teaching and research staff by 1952. The Kelvin Building Research wing (designed by Basil Spence) was built to house the first electron synchrotron in Europe, the ancestor of today's Large Hadron Collider at CERN, Geneva. Later the Kelvin Laboratory in East Kilbride was set up, with the Scottish Universities Research Reactor Centre, to study nuclear and reactor physics. The Natural Philosophy Department housed not only Dee as leader but also Samuel Curran who invented both of the fundamental techniques for detecting sub-atomic particles (the scintillation counter and the proportional counter), as well as Bruno Touschek who invented the colliding-beam storage ring, now the dominant particle accelerator type world-wide as at CERN, Geneva and elsewhere. Mathematics in Glasgow was re-established in 1691 following the recommendations of a visiting committee in 1664. 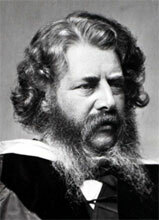 Hugh Blackburn was a distinguished head in the nineteenth century and Thomas MacRobert and Ian Sneddon in the twentieth. Statistics became a separate Department in 1966, followed by the setting up of the Robertson Centre for Biostatistics as a major centre of excellence in clinical drugs trials. John Aitchison set up the formalism for the statistical analysis of compositional data, covering fields as diverse as geology, household budgets, public health, and determining the authorship of literary works. Astronomy in the University can be dated from 1693. The regius chair of Astronomy dates from 1760. Over the centuries the growth of the city forced repeated moves west for the observatory. The present facilities in Garscube date from 1969. Under the leadership of John C Brown (who in 1995 became the first Glasgow-based Astronomer Royal for Scotland) a team with expertise in solar plasma theory and space mission observation has been built up. 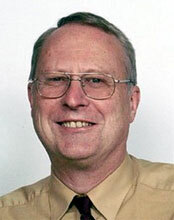 Since the merger which set up the Department of Physics and Astronomy in 1986, the world-leading Institute for Gravitational Research was established under the leadership of James Hough. 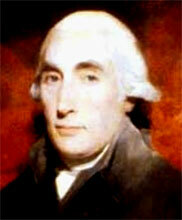 A lectureship in Chemistry was established in the University in 1747, and in 1762 Joseph Black, announced from Glasgow his doctrine of latent heat. 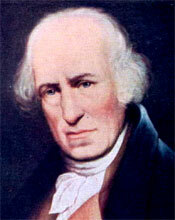 One interested person was the youthful James Watt who first measured, at the University, the latent heat of steam and so invented the separate condenser for steam engines. The University of Glasgow thus played a notable role in the Industrial Revolution. The regius chair of Chemistry dates from 1819. In the 20th century two Glasgow graduates, Sir William Ramsay and Lord Todd, were awarded the Nobel Prize in Chemistry, and two former staff members, Frederick Soddy and Sir Derek Barton, also gained this supreme award. In 1953, Henry How (assistant to Thomas Anderson) conceived the idea of functional group modification in natural products (making the quaternary ammonium salt of morphine) and thereby, "unwittingly set in motion a sequence of events which ultimately transformed the process of drug discovery." The Gardiner Professor of Chemistry from 1942-70 was J Monteith Robertson, a pioneer in the field of X-ray crystallography and the founder of organic crystallography. 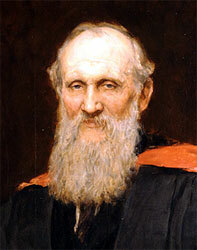 The University of Glasgow had some of the earliest developments in Engineering. The first UK chair in Engineering, the Regius Chair of Civil Engineering and Mechanics, was established in 1840 and held by Macquorn Rankine from 1855 to 1872. He has been described as 'the father of engineering science in the U.K.' 1883 saw the first UK chair in Naval Architecture. The expertise in this field led to attempts at man-carrying aircraft. Percy Pilcher sadly died experimenting with man-carrying 'bat' gliders (1896). Major developments continued during the 20th century. 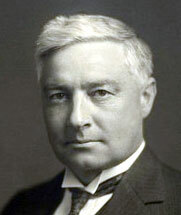 Frank Barnwell laid out the principles and procedures for successful aircraft design. 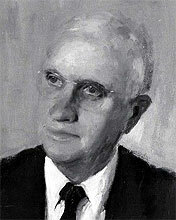 Sir David Henderson is recognised as father of the Royal Air Force. Robert Silver pioneered the desalination of sea water and Matthew Cartmell and colleagues more recently laid out the principles of long-range spaceflight. In 1923 a separate Faculty of Engineering was established and honours degrees in engineering were introduced. In 1807, the Hunterian Museum, left to the University by Sir William Hunter, arrived in Glasgow with its collection of minerals, rocks and fossils. King George III directed that the Chair of Natural History be linked to the post of Keeper of the Museum. 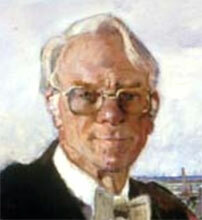 Sir Alwyn Williams conducted world-class research during his time as Principal and identified the role of phosphates in the development of vertebrates in the fossil record. Today Geographical and Earth Sciences, thrives with two advantages - the link between Physical and Human Geography, and the world-leading facilities owned jointly with Edinburgh at the Scottish Universities Environmental Research Centre at East Kilbride. In 1954, the government's Department of Scientific and Industrial Research, along with the University Grants Committee, asked British universities to make applications for an electronic computer. Among the first to apply was the University of Glasgow. Less than a year later, the application was approved. However, it was to take another three years to bring the plan to fruition: In 1957 Glasgow became the first University in Scotland to have an electronic computer, an English Electric DEUCE. The Department of Computing Science dates from 1970 Today it is one of the foremost in the UK, setting itself the highest standards in research and teaching. The physical sciences have a long history in the University of Glasgow. Twentieth-century Glasgow discovery and innovation in Physical and Mathematical Sciences and Engineering built on earlier achievements by giants such as Kelvin, Watt and Rankine (who all have scientific units of measurement named after them). Major developments in these subjects followed the creation of the Science Faculty in 1893. Subjects were then organised around existing professors in the following fields: Mathematics, Natural Philosophy (Physics), Astronomy, Chemistry, Zoology & Geology (until 1903 linked as Natural History), Botany, Anatomy, Physiology, Civil Engineering & Mechanics and Naval Architecture. A noticeable development in the early years was in staffing. In 1894 the eight science professors were supported by five lecturers and twelve assistants. By 1934 the professors had increased to 13, with 47 lecturers and 16 assistants. The first BSc graduate was somewhat earlier. In 1873, Henry Dyer graduated and, remarkably, immediately became founding Principal of, and Professor of Civil and Mechanical Engineering in, the Imperial College of Engineering, Tokyo, Japan. Ruth Pirret was the first woman to graduate as a BSc in 1898 and was the second woman to register as a research student, working with future Nobel Laureate Frederick Soddy.